Real hip-hop is very much alive today as it was 44 years ago, with the success of the 44th Anniversary of the Birth of Hip-Hop, proven that loyal fans of the culture is waiting and ready for the next bit thing. NEW YORK, NY, August 19, 2017 /24-7PressRelease/ — Once a culture that involved a DJ, an emcee, dancing, and graffiti, the culture of hip-hop became a true representation of art in the early 70’s. From the first hip-hop party hosted by DJ Kool Herc in 1973 to the first commercially released hip-hop record, “Rappers Delight” by the Sugarhill Gang in 1979, hip-hop became the social expression for the boroughs in New York. But over time, the culture of hip-hop slowly faded. And as the culture faded, so did the fans? The fans who embraced the true culture of hip-hop – the music, the dancing, the graffiti, and the style. Transcending from the first house party in the Bronx, to rapping on the streets of Paris, from the first Hip-Hop record, “Rappers Delight”, to Kendrick Lamar’s chart-topping hit, “Humble”, real Hip-Hop has evolved many generations, and has proven to be much alive today as it was 44 years ago. It’s been a week since the 44th Anniversary of the Birth of Hip-Hop was celebrated on August 11th. Although born 44 years ago in the Bronx, NY by hip-hop originator DJ Kool Herc, it was honored by real hip-hop fans around the world. And also honored by Google last Friday with an interactive Google Doodle to commemorate the moment in history. However, today real hip-hop is all but a distant memory in the minds of a generation that embraced it, and a thing of the past for a generation too young to understand it. But one record label in Atlanta intends to keep the memory of real hip-hop alive. 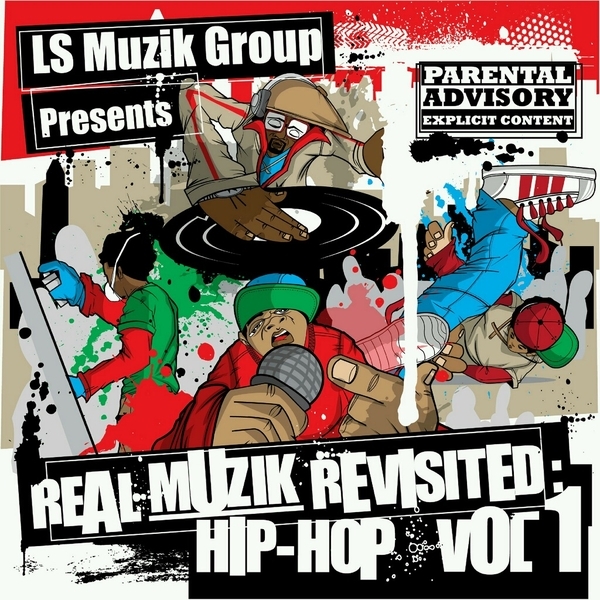 Come September 19th, LS Muzik Group releases its much-anticipated compilation, Real Muzik Revisited: Hip-Hop Vol.1, a ten song compilation of original hip-hop music. According to stats from RealMuzikRevisited.com, it was very obvious that real hip-hop fans would appreciate the Real Muzik Revisited product because there was a huge spike of roughly 7,000 views per day to the website last week. Thus proven, real hip-hop is alive, and the generation that embraces it is ready and waiting for it. But regardless of the gap between one generation and the other, or who’s ready for real hip hop or not, last Fridays 44th Anniversary of the Birth of Hip Hop proved that real hip hop is very much alive today as it was 44 years ago.